Is there a preview for this week's issue out yet? I'm anxious to finally get the story moving. It's been great writing so far as far as character moments and world building but for the plot it's been so slow. Nine issues I think.is long enough to get the story rolling. Think I'm going to try and reread the first eight issues before #9 drops on Wednesday. The preview reminded just how much depth there is to this story so far. 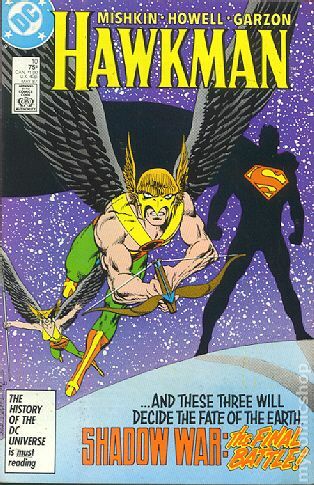 I've just read the 1985 Tony Isabella penned Hawkman miniseries, and it was glorious. Great art, great story, great character work. Everything clicked. Apparently it was a means of testing waters for an Isabella helmed ongoing, I guess that never happened. It's especially a shame as there was a cliff hanger in the very last panel. Those who have read the series probably know what I'm talking about. Did that ever get resolved? 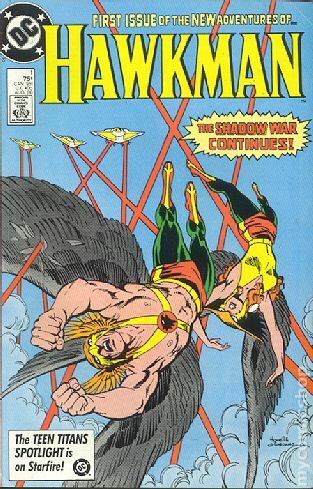 Are you talking about the 4 issue Shadow War of Hawkman mini? If so, there was a 1-shot special follow up and a 17 issue ongoing both by Isabella (well Isabella did the first 9 issues of the ongoing, then Dan Mishkin too over) that followed that. Cool! Would anyone recommend that material? 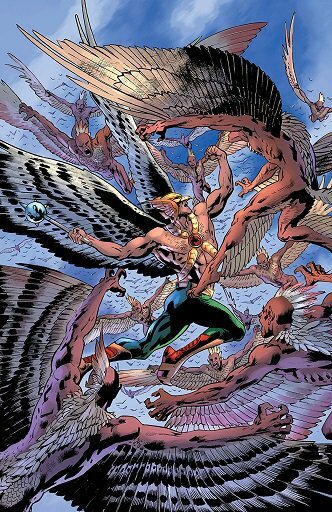 I haven't read it since it was coming out, but that and the Shadow War mini were my first real exposure to Hawkman as a solo feature in comics, and a large part of why I became a fan of the character. It's uneven in places, there's some good and bad, but overall a solid read I enjoyed at the time. 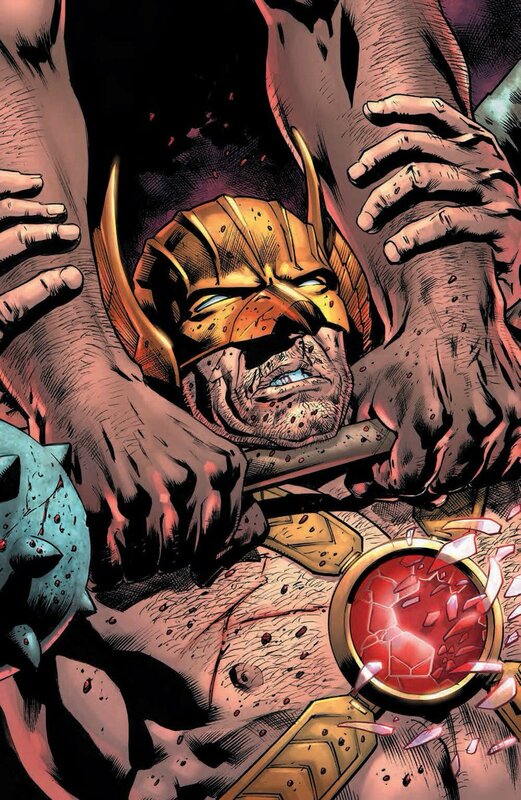 anybody have hawkman 9 yet? I just read it over the weekend. Was just ok. Great art. But it just got the main event rolling. Hopefully next issue will get into the good stuff. 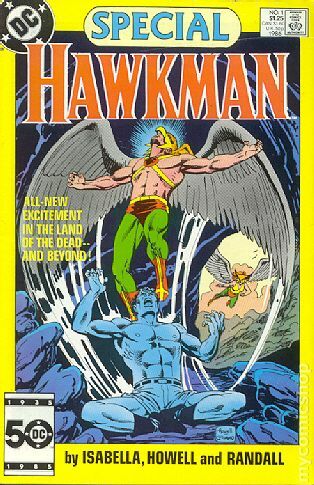 So I recently read the old Hawkman special from 2008, in which Carter meets this omnipotent being known as the Nameless. And the Nameless claims that his reincarnation origin and past lives are a fabrication - based on his Multiversal doppelgangers. And that he is in fact Katar Hol. From what I understand, that story never really went anywhere. But in light of Venditti's current run and his reveal that Katar Hol is one of Carter's many reincarnations - and that there was more to Hawkman's origins than the Egyptian 'curse' - one does wonder if, retroactively, this is what the Nameless was referring to. Of course, the Nameless seemed to be alluding to Katar having been merged with his Multiverseal doppelganger somehow, whereas according to the Venditti run, Carter reincarnates across time and space, including apparently all through the Multiverse. My guess is that Pre-Crisis, many of Carter's reincarnations were on other earths, but after COIE, those earths were merged into one earth, so his lives are now on the same earth. This is what the Nameless was referring to. 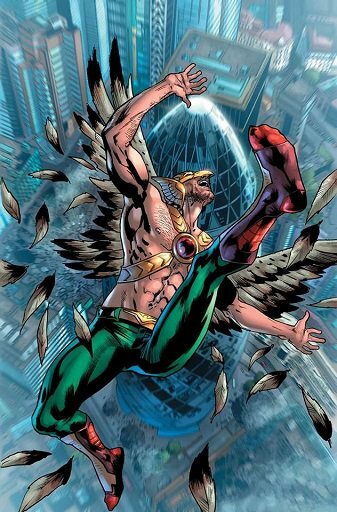 And since the base template for Post-COIE earth is Earth 1, the Nameless perceived Hawkman as being Katar Hol, with all the other 'Multiversal doppelgangers' merged in.